THIS WEEK; FINAL VENOM, 2D FESTIVAL AND ....... BATMAN! This week my final issue of VENOM hits the stands. It's the final chapter of the 'Toxic' storyline; it's all been building to this! 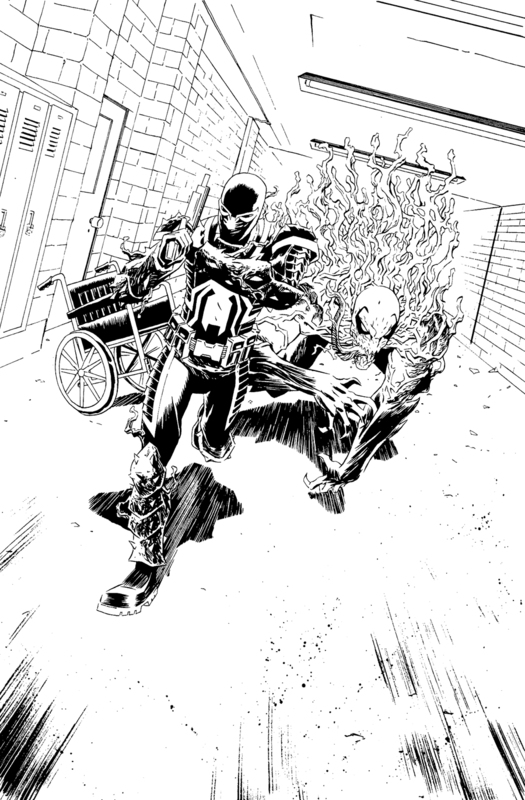 I've had a blast working on the series this year; from the stand alone issue with Rick Remender, to the Minimum Carnage crossover to this big epic Toxin arc, working on the series with writer Cullen Bunn has been a distinct pleasure. Lee Loughridge excellently matched the tone I was going for with this book, and Joe Caramagna did some gorgeous lettering work. Huge thanks to editor Tom Brennan for offering me the book and for all the encouragement along the way. I hope you all enjoy the finale. Also, the very next day sees my LEGENDS OF THE DARK KNIGHT story go online. Written by Robert T. Jeschonek with fantastic colours by Matt Wilson, I hope ye all download it via Comixology, or other such wonderful applications. Below is a sneak peek from the story. But wait! There's more! This weekend is 2D Festival! 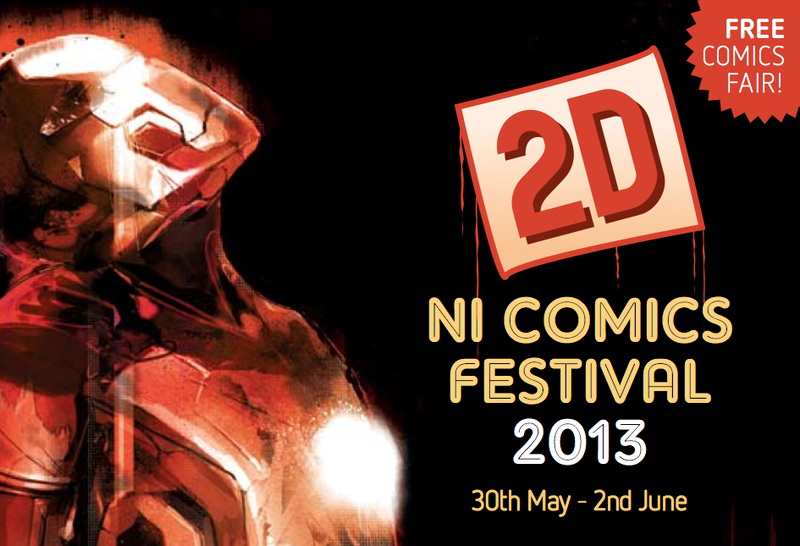 An excellent FREE Comics Festival that takes place every year in Derry, Northern Ireland. I've been many times and have always had a fantastic experience. This year is 2D's biggest year so if possible I urge everyone to attend. There's a host of excellent panels and workshops; you can read all about them in the festival's excellent programme (see here). Did I mention it's FREE?